Meet Planetlab HD. An iPad app designed to help astrologers explore their charts more effectively and find out how things are affected as the positions of the heavenly bodies change. If you are a believer, Planetlab has a lot to offer. Planetlab features a very dynamic interface. It lets you enter your charts and analyze them to your heart’s desire. 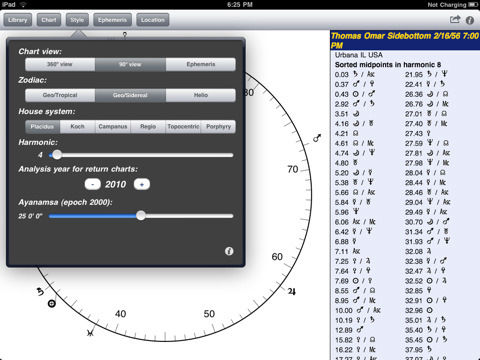 You get 3 different chart views and can modify Zodiac and House system information easily from your interface. Planetlab has a pretty handy atlas and information on every zip-code in the U.S.
PlanetsLab enables you to explore harmonic astrology too (going from 1 to 128). You get the option to e-mail your charts, which is a plus. 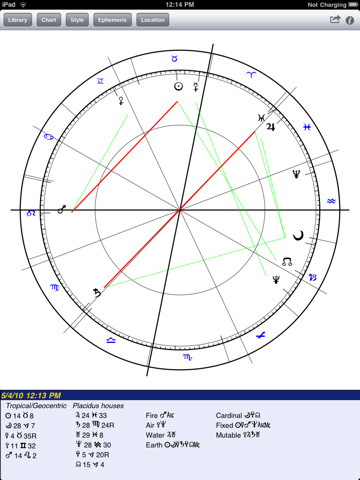 Astrology is not for everyone nor is Planetslab. If you are a student of this field, Planetslab is worth looking at. Has a very simple to use interface and gives you the tools you need to get a better reading.